We work with the holographic model of interacting dark sector (dark energy plus dark matter) of the universe. 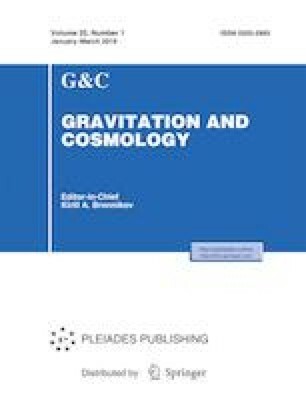 The generalized Chaplygin gas model is taken as a Dark Energy (DE) candidate, and it interacts with Cold Dark Matter (CDM) in the framework of linear plus quadratic equation of state (EoS) parameter. We study the effect of interaction on the thermodynamics of the universe. Three interaction parameters of DE-CDM are considered: ΓρDE, ΓρDM, and Γ(ρDE + ρDM). We derive the corresponding effective equation of states for these different interaction parameters and analyze the behaviors of the derivative of entropies for DE, CDM and the apparent horizon, which is considered as a boundary of the universe. For this purpose the Generalized Second Law (GSL) of thermodynamics is used in the Friedman- Robertson-Walker (FRW) space to analyze the effect of quadratic terms on the thermodynamics of the universe, and the results are analyzed and compared with the solution for the linear form given in the literature.